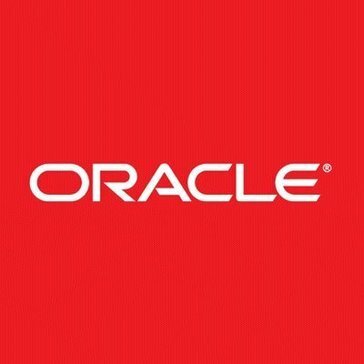 Work for Oracle Hospitality OPERA Sales and Catering? Learning about Oracle Hospitality OPERA Sales and Catering? The platform covered every essential area needed in order to run an effective event. We would use the platform for a wide variety of reasons- including check ins and check outs and the front desk, modifying room reservations, accomodating special requests and communicating with different departments within the hotel. It allowed us to effective manage our reservations and ensure a great guest experience for our customers when checking in and out. Although it has a lot of great qualities, I think that the platform could be easier to use - more intuitive interface could be nice. There's definitely a lot of elements to the platform but it could be updated. The interface was older and took awhile for new hires to learn it all. I studied event planning while i went to school, I worked at a high end resort on the central coast at the front desk and in events - we used this software to organize and effectively run catered events for clients as well as manage all of our hotel reservations. The shortcut keys make it easy to navigate to an area and able to look it up with several different function keys. time it takes for a permanent account to show up - sometimes several minutes and you need to go into another account and place same information in before the information you need actually shows up. Recommend to use it - once you are in it, you will like it. Opera we are able to track all payments for a group and also able to use the check in process for guest room inventory. Also utilized by finance department. "Great for what it does"
OPERA is a great system to use in the hospitality industry, it seamlessly links all departments of the hotel. For every action you want to do in OPERA there's 3-4 different methods of getting there, which I love. OPERA freezes a. lot. when. printing. Since OPERA uses Java to connect to Adobe to print, it times out in the transfer of files and you have to completely restart your session in order to print - very annoying! OPERA allows us to easily see what venues are booked by the various departments in the hotel, which has greatly decreased our instances of double bookings. "Oracle Hospitality Sales and Catering"
This is a really great platform for anyone who is looking to have a great work environment. This software maximizes group sales and streamlines execution of meetings and events. It was a little hard at first to learn how to use this software, but the longer we spent working with it, the quicker and easier it was to figure it! Took a little to figure it out, but once we did we had no issues! We do a lot of planning so this software is effiencet in planning and executing events. It is very oganize and the print out we recieve help when we are not with the software. "Best Software for Hotels, "
I disliked the was way it was hard to get technicians out to a property and the fact that if your service co tract was over they would not help you at all. "Opera Sings to the crowd"
at times, the integration, OXI, does not always keep everything in sync. Opera Sales & Catering provides multi-language support. In addition, this can be integrated with Opera PMS as well as external reporting tools in order to improve global reporting. We are focusing on a single source for reporting while allowing individual properties choose the Sales and Catering system they prefer to use due to specific language requirements. The lack of support and complete disregard for the customer once the system is installed is very disappointing. I have multiple locations with 50k invested in terminals, and systems at each location, and paid annual support fees only to get no responses. "Great product but bad service "
if you need some help with some thing or it breaks, goes down. Service is terrible and non existent. Great system but support service is not great, Train some one so you don't need them to help. We have used them fro years and they are very good for the servers, sales person and front desk agent and can put a lot of info into the system. makes it easy for them to use and to program. "efficient systeme but look old"
I like how you can find rooms and reports in one space. Takes a bit to get used to but once you know all the shortcuts, It is an amazing tool. Sales and catering is doing good, we did an update so figuring out the changes is whats difficult. This is a very functional software, and is the industry leader for F&B establishments. Easy of use and ability to expand are top qualities. Price point is quite high in comparison to similar products. The ability to have the same user experience for staff is a plus, especially when spread across multiple F&B outlets under one hotel, resort or casino. This provides the ability to train staff on one system and perform updates and reporting for all locations. "Never failed me true to its name. " From the first time signing up for this service and the software is super simple to set up. The installation time was a little lengthy. We are able to track sales and keep track of pending orders at a glance. I like the ease of programming on a user level. Customer service is absolutely horrendous and impossible to get ahold of. "Great but could use work"
The software is great and the user interface is easy to navigate. Only issue is not all fields that are required are properly marked as so causing users to need to backtrack their work. Not all fields that are required are properly marked as so causing users to need to backtrack their work. Not many problems on the buisness end. The forecast tracking has been great. "14 years of exp with Opera and micros"
"My experience using Oracle catering software was very positive. Their progam simplifies your day to "
"Oracle is a functional, straightforward POS system "
Ease of use. Quick and easy to train new staff. Initial menus are a little difficult to manuver through. Maybe the use of better tabs. Taking multiple payments and different tenders has been an issue with other software. OPERA has simplified this. The majority of the time when it’s working it’s fantastic and does everything it’s supposed to do. It lags sometimes and runs very slowly if not shutting down all together. Keeps sales and function organized. A lot easier than writing everything down. Several clicks sometimes to get to what you need. "Was very nice and sweet"
"Nice integration, but lacks vital features"
Difficulty with searching. Takes a while to find an event you know you want. Data is well organized and user friendly. "good for more complicated tasks"
You can do a lot with this program and complete more complicated transactional routings. I find the program's outdated layout quite problematic and inefficient. Benefits-it is easier to keep everything organized in an efficient manner. "Overall good. Experienced few glitches occasionally"
Makes ordering easy and organization of orders nice. Interface is good. * We monitor all Oracle Hospitality OPERA Sales and Catering reviews to prevent fraudulent reviews and keep review quality high. We do not post reviews by company employees or direct competitors. Validated reviews require the user to submit a screenshot of the product containing their user ID, in order to verify a user is an actual user of the product. Hi there! Are you looking to implement a solution like Oracle Hospitality OPERA Sales and Catering?